A recent surge in uranium concentrations in the Antarctic can be linked to increased mining activity in Australia, researchers from the University of Maine have found. According to the team, which will publish the results of their research in the upcoming issue of the Atmospheric Environment Journal, ice core data revealed a significant increase in uranium concentration that coincides with open pit mining in the Southern Hemisphere, particularly in Australia. Australia has about 40% of the world's uranium reserves and exports nearly 7,000 tonnes of yellow cake annually. “Uranium concentrations in the ice core increased by as much as 102 between the 1980s and 2000s, accompanied by increased variability in recent years,” lead researcher Mariusz Potocki, a doctoral candidate and research assistant with the Climate Change Institute, said in a statement. Australia has about 40% of the world's uranium reserves and exports nearly 7,000 tonnes of yellow cake annually. But according to an IBISWorld report of March 2015, the industry is not a major employer. Only 987 people worked in the sector last year and the industry accounted for less than 0.01% of all the jobs in Australia. A recent nuclear cooperation agreement with India, however, could boost the sector, as the treaty allows Australian companies to begin commercial uranium exports to the Asian giant. Potocki noted that it’s crucial for scientists to better understand the impact of more mining and the airborne distribution of uranium, as exposure to the radioactive element can result in kidney toxicity, genetic mutations, mental development challenges and cancer. Exposure to the radioactive element can result in kidney toxicity, genetic mutations, mental development challenges and cancer. Until World War II, most of the uranium released into the atmosphere came from natural sources, the team said. But since 1945, increases in Southern Hemisphere levels have been linked to industrial sources, including uranium mining in Australia, South Africa and Namibia. “Since other land-source dust elements don’t show similar large increases in the ice core, and since the increased uranium concentrations are enriched above levels in the Earth’s crust, the source of uranium is attributed to human activities rather atmospheric circulation changes,” they wrote. 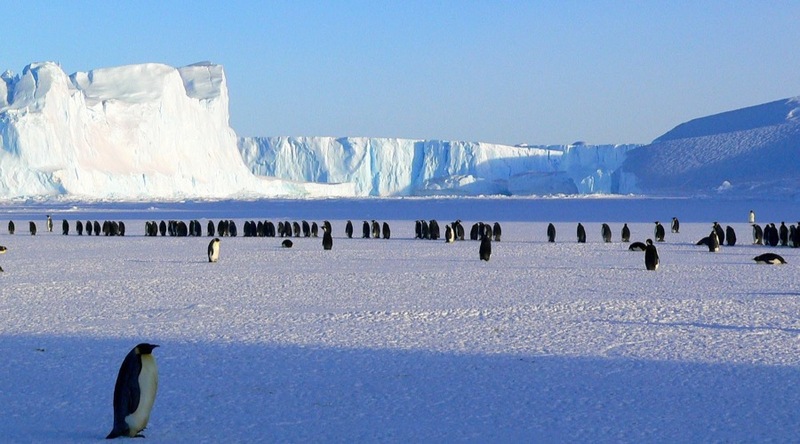 The study, carried out during the first high-resolution continuous examination of a northern Antarctic Peninsula ice core, also counted with the collaboration of Penn State University’s academics as well as Australian, Brazilian and Chilean scientists.